October 5th thru the 8th. I predict wonderful weather for a drive to Eureka Springs for this years Vette weekend. The car weekend here are so much fun. Just last weekend was the antique car weekend with not only the parade but old cars driving all over the place. Really entertaining. 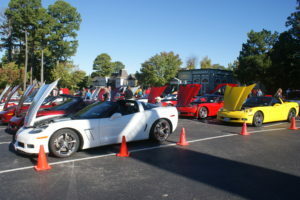 Since 1991, Corvette enthusiasts across the Midwest and beyond have gathered in Eureka Springs the first weekend of October, to enjoy the beautiful autumn scenery and weather, the unique charm of the Eureka Springs area and just relaxing and having fun with hundreds of fellow Corvette fans. Parades, Kid rides, an Auto show and much more. No competition, no preparation, no points to win or lose, just a lot of viewing and driving enjoyment with America’s Sports Car. All Corvettes, modified, restored, original or daily driver, from all years are welcome. 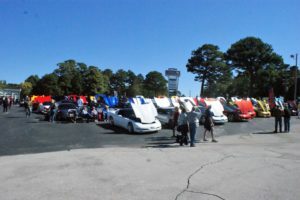 These are some pics from last years event. Come on out, enjoy this wonderful town and check out a few awesome cars!